Anne Winter is a Medicaid strategist with expertise in new business development and implementation. She specializes in shaping Medicaid policy, healthcare financing, and managed care contracting – including capitation rate setting and value-based payment. Her clients include state agencies, Medicaid managed care organizations, and community health centers. She boasts a broad range of Medicaid regulatory, policy and program knowledge, specializing in pharmacy benefit management (PBM), long-term care, and 340B drug programs. Prior to joining HMA, Anne served as senior director of Medicaid for CVS Caremark where she focused on ensuring Caremark’s ongoing regulatory compliance with state and federal laws, regulations and policies. In that capacity, she worked closely with the account teams, operational business leaders, and the government affairs team. Anne also led the Medicaid strategy, which included supporting the product development and policy including 340B programs. 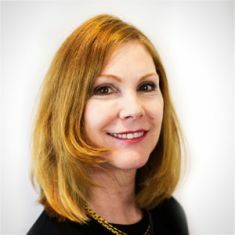 As the national Medicaid subject matter expert for CVS Caremark, she developed a comprehensive regulatory monitoring and compliance infrastructure for the Medicaid managed care business in all 27 states – spanning authorization and appeals, network management, credentialing, network audit, adjudication, encounter processing, formulary management, member communications, and member complaints and appeals. Anne was director of healthcare innovation at Health Choice Arizona, a Medicaid managed care plan based in Phoenix. In that capacity, she led business development and the development of new products, including future Health Benefit Exchange offerings and partnerships with Accountable Care Organizations. Before joining HCA, she was a healthcare consultant with two large consulting practices. Anne assisted clients with early strategy for implementing healthcare reform with a focus on Medicaid and health insurance exchanges. She was the primary author of a white paper on exchange design issues for safety net health plans, in addition to several other reports prepared for clients. Previously, she was responsible for business development and government affairs for Evercare in Arizona and New Mexico. Before moving to the private sector, Anne was Arizona Governor Janet Napolitano’s healthcare policy advisor. She led the Arizona Health-e Connection initiative, increased funding for graduate medical education, and revamped the CopperRx card program. Anne was the liaison for Medicaid and public health for the governor and wrote the governor’s Senate testimony on long-term care. As senior director at the Arizona Health Care Cost Containment System, Arizona’s Medicaid agency, Anne was responsible for capitation rate and managed care contracting for MCOs and oversight of MCO financial solvency. Before joining AHCCCS, she was the finance director at Valle del Sol, a community-based non-profit organization serving individuals with behavioral health needs. Anne earned her bachelor’s degree in liberal arts at St. John’s College in New Mexico and has a master’s degree in linguistics from Arizona State University. She is a certified public accountant.